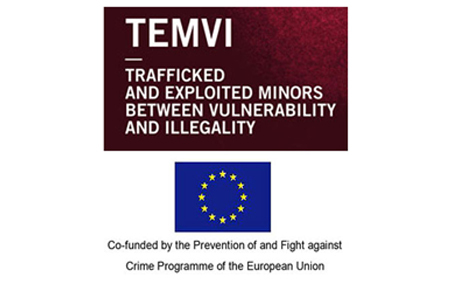 The EU Commission funded project TEMVI - Trafficked and Exploited Minors between Vulnerability and Illegality. Forced criminal activities as a new form of exploitation in human trafficking: knowledge and human rights based practices (HOME/2013/ISEC/AG/THB/400000549) has been implemented from September 2014 until August 2016. Dissemination of the project’s results and deliverables that include the publication and the video, among the target group and the direct and indirect beneficiaries. The overall budget is € 482.112,12. The Project coordinator is the Human Rights Centre of the University of Padova.